Mailman had a great debut in triathlon, placing 13th OA and winning his AG! Adam had an awesome race in Guelph, finishing with a time of 2:23 and 6th in his AG. Despite limited training in the swim and bike, Jordan had a great race. He managed a time of 2:27, good enough for 7th in his AG. After being plagued by injuries for a number of months, Erik had an outstanding return to the duathlon world. He finished with a time of 2:10, and placed 3rd in his AG. Despite just racing the day before, Jessica had a great race. She finished in 1:21, and placed 7th in her AG. Graham Dunn started off strong, battled some serious cramping during the run, and finished with a stellar time of just over 5 hours! RunnerRob had a great return to trails. He place 4th OA and 2nd in his AG with a time of 55:27 for the 14.4K. Dave also had an awesome racing, cracking the top 10 OA, and placing 2nd in his AG. Mike was in next for the team with a very sold 68 mins and 19th OA. Craig was in next for the team, finishing 25th OA with a time of 70 minutes. Jessica was in next for the team with a very solid 72minutes, placing 4th OA for females. Vicki also had a great race, finishing just a few minutes after Jessica, cracking the top-10 OA for females! Cari had an awesome race in the Sport race, finishing easily in the top 20 in her AG! The team results were scored based on a point system. H+P was lucky enough to walk away with the win out of 10 total teams. CLICK HERE for the full results. 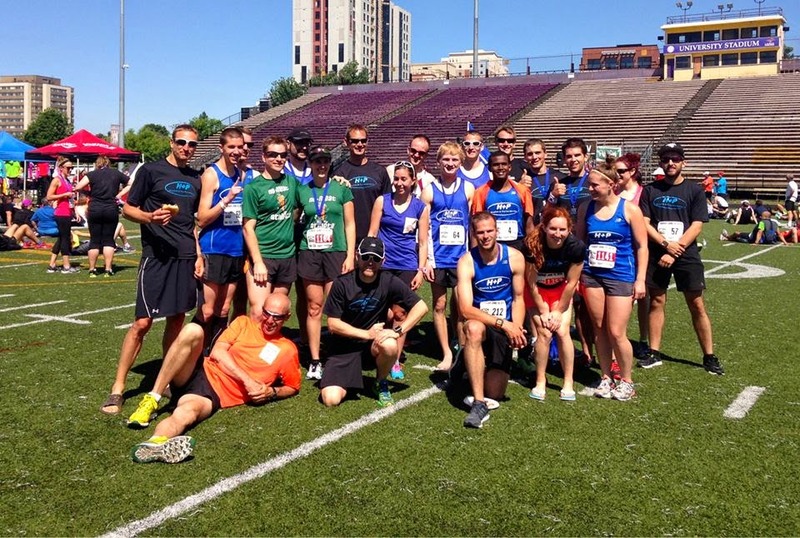 Another year, another great race experience at the Waterloo 10K Classic. This year we assembled our fastest, deepest team ever. Last year, our 3 person 10-K team had an average time of 38:31, this year we had TWO 5-athlete teams with an average time of 36-something. Had we entered a 3-person team with our top runners, we would have beat our 2013 team by over 12 minutes total (or average 4 minutes per runner!) with an average time of 34:28. We are improving! By now, everybody knows about the #MikeVsDave team challenge. In the end, #TeamDave walked away with the victory. Here is the full recap. 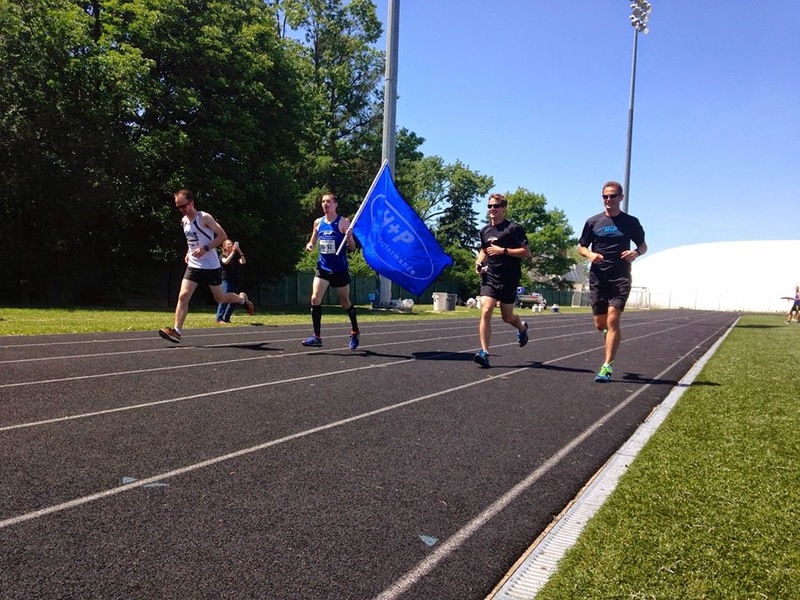 The H+P 5K team won the open team race quite comfortably with an average time of 20:00 among the top 5 runners. H+P Team Dave won the 10K- open team category with an average time of 36:53. H+P Team Mike was only 2 seconds behind, finishing 2nd in the team category. Mailman was first for the team, with a new PB of 18:43. This earned him 2nd in his AG. Steph came in next with a stellar time of 19:12 which brought her in 6th OA and 1st in her AG. Kailey finished with a new PB of 20:27, good enough for 3rd in her AG! Gillian, coming off illness and injury, posted a solid 20:35, bringing in her 4th in her AG! Holger came in with an awesome time of 20:43 despite just racing 50K the day before! This was still good enough for 3rd in his AG. Payton came in with a new PB of 21:00, earning her 2nd in her AG! 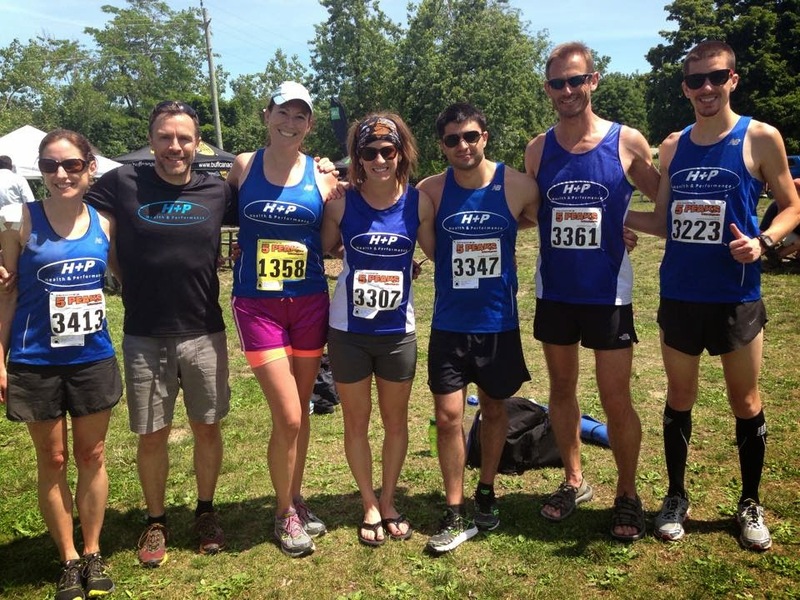 Tammy and Derek both had GREAT H+P debuts, enjoying the race, running with their kids! RunnerRob took over a minute off his time from last, and won 4th OA with an outstanding time of 33:52. Coach Sean came in 5th OA with a time of 34:33. Brendan set a new 10K PB with a very solid 34:56, good enough for 2nd in his AG and 6th OA. Coach Dyce was in next with great time of 36:11, cracking the top 10, and placing 2nd in his AG. IronLuke was in next for the team with a PB time of 36:45, bringing him in as the 2nd masters runner OA! Ahmed Ahmed crushed the 10K, running 37-high, and winning his AG. Chris was in next, and ran a huge PB of 38:08! Dave ran an excellent time of 38:18, placing 3rd in his AG. Pat came in with a very solid time of 38:52, easily placing within the top-10 for the team. 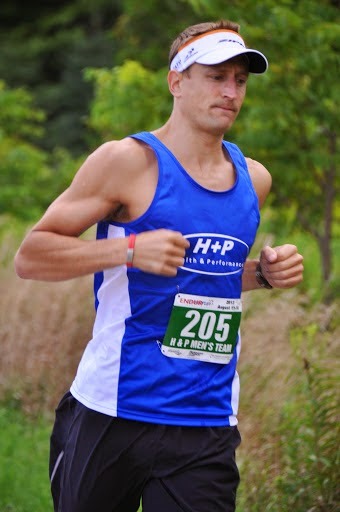 Nick Burt ran a new PB of 39:19, coming in as the 10th H+P athlete to crack the 40-minute mark in one race! Mike ran 40-something despite having difficulty recovering from a recent marathon, and still manged to place within the top-10 of a competitive AG. 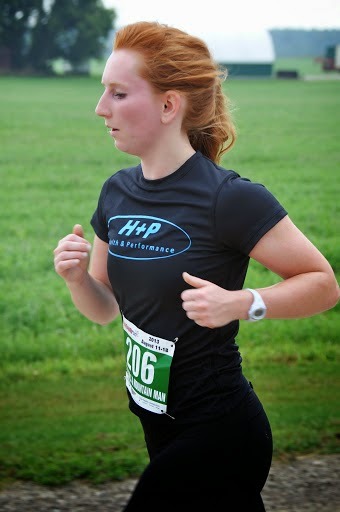 Jessica was the first female in the H+P team to finish- she posted an outstanding 42-low despite limited running over the last number of weeks due to injury. Emily was in next for the team with a HUGE PB (by well over 3 minutes) of 45:20! Vicki came in with another PB (by 2 minutes), finishing in 45:37, and 2nd in her AG! Dragan was in next for the team with yet another massive PB, running 46:23. Justin also posted a 10K PB, coming in just seconds after Dragan in gun time, but with the same chip time of 46:23- new rivalry? Manny was in next for the team with a very solid 46:39, good enough for 4th in her AG! Dan came in with a HUGE PB, also running 46:39! Howie came in with a very sold 47-low, an excellent performance in his H+P debut. Will was yet another H+P-er to post a PB, coming in just over 58 minutes. Cari finished the race off with a massive 9-minute PB of 59:19! Well, the day we all have been waiting for is ALMOST here. 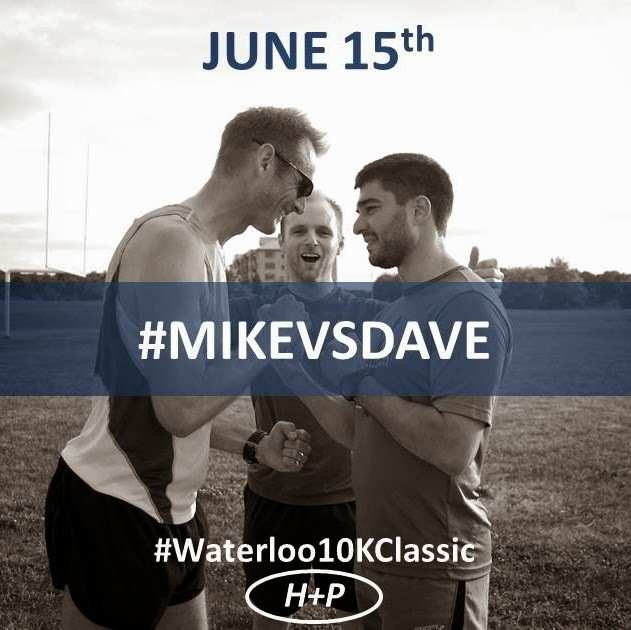 The Waterloo Classic is only four days away, and the team couldn't more more excited. 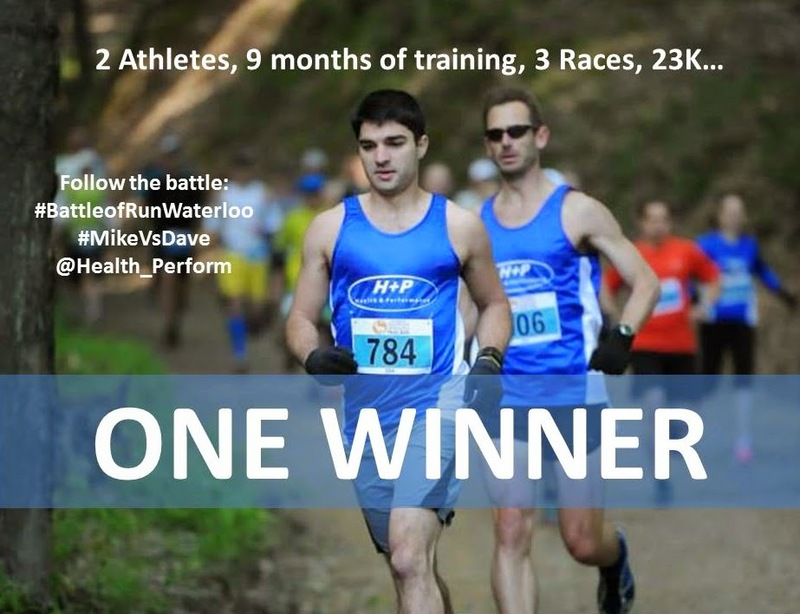 Finally, we can't forget that the 10K is the 2nd of 3 stages of the Battle of Waterloo. Click here to see the recap of Stage 1. 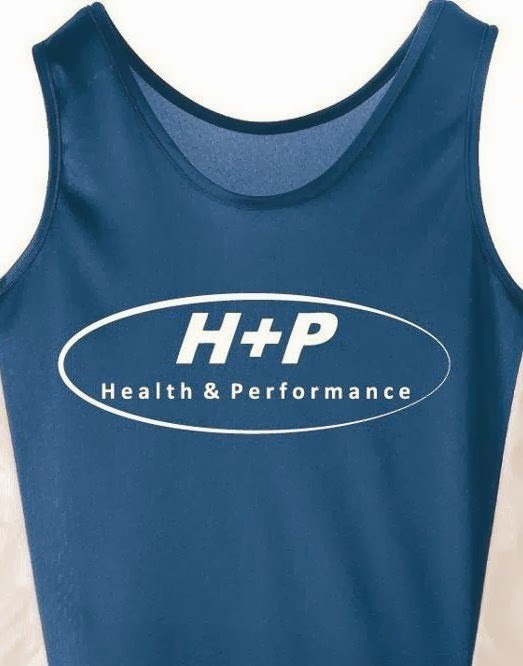 H+P has a number of runners in contention for the OA podium. After stage one, we have six runners (Sean, Dave, Mike, Greg, Brendan, Pat) all in the top 11 OA. Vicki Z is also in contention for the OA podium on the women's side as she now sits in 4th OA. The team draft has finally come and gone! 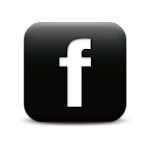 If you don't know what the #MikeVsDave team challenge is, click here to learn more. This was used to determine who gets to call the coin toss. Mike took down Dave's paper, and thus got to call the toss. At 6:45pm, the coin was tossed at practice. Mike called tails, and the coin landed tails up. Mike opted to go second in the draft. Here is a review of how the draft went as shown on our live twitter feed starting at 9:00pm. Who do you think has the better team? Stay tuned for full info on the rosters!